Events are free and open to the public, unless otherwise noted. We look forward to seeing you! Visitors should park in Lot M for all events. 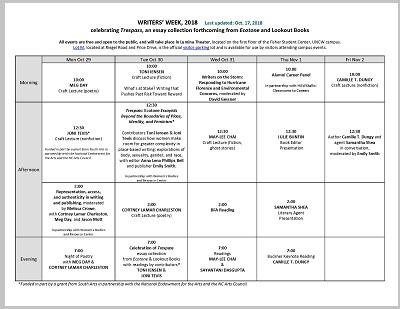 UNCW offered me a second faculty in its visiting writers and in its wonderful Writers Week. I had the privilege of working with great writers from all over the country.